Goniatite of the genus Girtyoceras, showing the relatively simple zig-zag sutures of this group, from here. Ammonites are one of the few groups of fossil invertebrates that are known to the general public as animals with coiled shells, some of them reaching significant sizes. The name Ammonites means 'image of Ammon': Ammon was an Egyptian god whose sacred animal was the ram, the curled horns of which ammonites were supposed to resemble. Ammonites were Mesozoic representatives of a larger group of cephalopods, the Ammonoidea, which also included a number of Palaeozoic lineages. 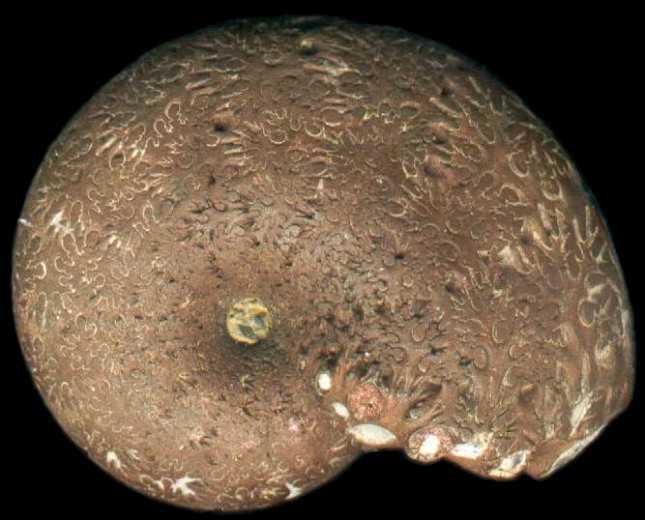 Specimen of Ceratites, a Triassic ammonoid with a greater number of suture lobes than Girtyoceras, but with the lobes still relatively simple (if you look very closely, you may be able to see small crenulations in the lobes). From Drow male. Among extant cephalopods, only extant members of the Nautilidae, the chambered nautiluses, have permanent external shells. Nautilus shells bear a general resemblance to those of ammonoids, and as a result ammonoids have often been assumed to have resembled nautiluses in life. However, there are numerous reasons to think that this may not have been the case. 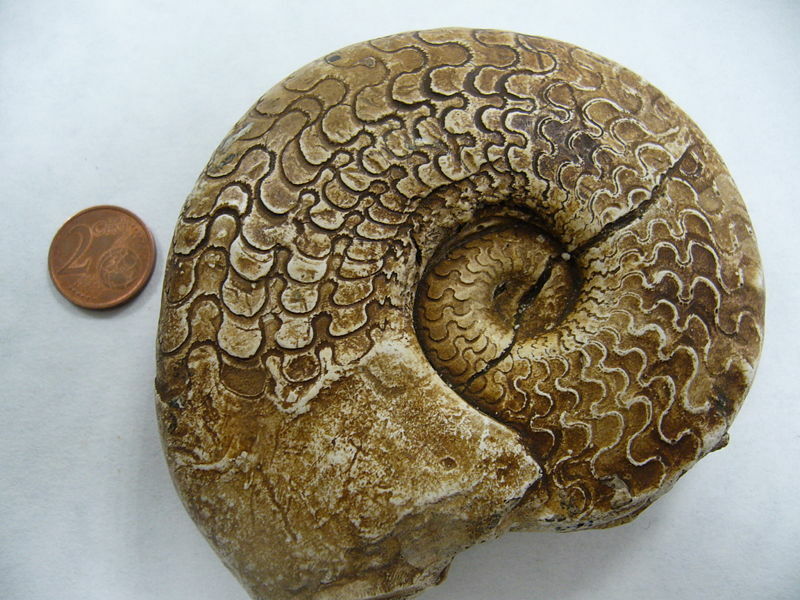 Ammonoids are more closely related to the other living cephalopods, the shell-less coleoids (octopods and squid). Study of the fossil record indicates that the coiled shells of ammonoids and nautiluses are due to convergence: both groups derived separately from straight-shelled ancestors. Soft-body remains of Michelinoceras, a straight-shelled cephalopod that was related to the ammonoid + coleoid clade, suggest that ammonoids probably possessed ten relatively large tentacles like modern squid, rather than the very numerous small tentacles of a nautilus (Jacobs & Landman 1993). Jacobs & Landman (1993) also argued that ammonoids are likely to have had an expansive mantle like that of coleoids, and could probably extend the body partially out of the shell. 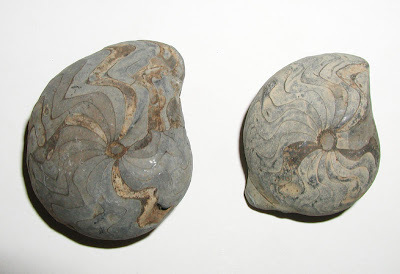 Many ammonoids had lateral extensions of the shell at the aperture that would have required some forward extension of the mantle to grow, and some even show evidence of external shell deposition. Palaeozoic ammonoids often have a sinus on the lower edge of the aperture like that of a nautilus: in the nautilus, this marks the position of the siphon used to propel the animal. Mesozoic ammonites, however, lack such a sinus, and may have had a more dorsally placed siphon, closer to the shell's centre of buoyancy. This would have allowed more direct, steady propulsion than that of a nautilus, but would have restricted the nautilus' ability to bend the siphon and use it to propel itself forwards as well as backwards. The ammonite Phylloceras (Goretophylloceras) subalpinum, with greatly subdivided lobes, from here. As generally presented, the story of ammonoid evolution is the story of sutures. The septa dividing the chambers within the shells of ammonoids had a tendency to become increasingly complex over time, and the form of the sutures between septa and shell are one of the main characteristics used in distinguishing ammonoids. In many species of goniatites, one of the more basal Palaeozoic ammonoid groups, the sutures had only a small number of simple lobes. In other ammonoids, the number of lobes increased, and the individual lobes tended to develop their own complications. By the appearance of the ammonites, the sutures had become massively complicated, with almost fractal-appearing folds and folds within folds. The reasons for this complexity are uncertain: one possibility is that, if the ammonoids were more mobile than the modern nautilus, the crenulated sutures may have helped the animal in withstanding the hydrodynamic pressures involved with faster movement, by breaking up the flow of water within the body chamber (Hewitt & Westermann 2003). Hewitt, R. A., & G. E. G. Westermann. 2003. Recurrences of hypotheses about ammonites and Argonauta. Journal of Paleontology 77 (4): 792-795. Jacobs, D. K., & N. H. Landman. 1993. 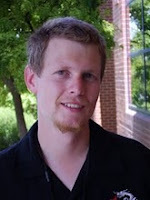 Nautilus-a poor model for the function and behavior of ammonoids? Lethaia 26: 101-111. The fractal nature of the chamber sutures suggests to me that they were optimized for some sort of transfer across the suture. We see all sorts of other fractal structures such as capillary retes for maximizing surface area to maximize diffusion of heat or gases. One possible thing to diffuse (or pump) would be oxygen: this could allow more aerobic activity during dives into anoxic waters. A quick perusal via google doesn't seem to show this being suggested anywhere. Do you know of anything like this? Aren't they solid shell, though? It would seem a bit difficult to diffuse oxygen through aragonite. Shell is composed of an organic matrix with aragonite deposits. Because the matrix determines where the crystals develop, it would be simple to have pores in the sutures. They would not have to be large to permit gas diffusion. Alternatively, it might be that heat diffusion is needed: perhaps to warm or cool gas. Or it might be that attachment points need to be maximized. If you maximize surface area with a fractal pattern, there is probably a reason. Those are the first three I can think of. 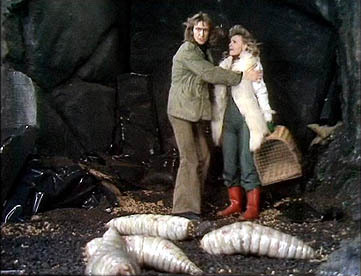 But that would destroy their suitability for one function we know they did have, containing the gas for buoyancy within the chambers (remember, there's no mantle behind the living chamber, so the animals couldn't have sealed over the septa after making a new living chamber). The siphuncular tube, on the other hand, did have extensive pores, presumably to control the removal of gas/fluid from the chambers. Why would pores in the septa destroy suitability for containing gas any more than pores in the siphuncular tube? Pores do not have to permit gas to flow: they can be plugged with permeable materials that can let gas diffuse. Why would pores in the septa destroy suitability for containing gas any more than pores in the siphuncular tube? The siphuncular tube is filled with siphuncle; the chambers are presumably devoid of living tissue. The pores of the outermost septum could be plugged by living tissue, since it is right up against the body. Not necessarily, and certainly not for at least part of the animal's life. The body was not directly attached to the septum of the body chamber itself: the attachment muscle scars are located on the dorsal wall of the chamber in front of the septum (not incompatible with body-septum contact, but not requiring it). Living Nautilus have a fairly large fluid cavity between the body and the septum (but, as discussed in the post, what applies to Nautilus didn't necessarily apply to ammonoids). Still, The body would have had to move forward when the time came to begin growing a new septum, so there would have had to have been a fluid cavity present at that period at least. At least some authors have suggested that, if the ammonoid body was coleoid-like, it may have been relatively small compared to the size of the body chamber, and able to shift a fair way back and forth within the chamber to extend or retract the body from the shell aperture. I've been trying to find out whether the gas permeability of ammonoid septa has been directly tested, but so far no luck. The septa were nacreous in composition, but I don't know how permeable nacre actually is (not very, I suspect, but I could well be wrong). Whatever the rate of gas diffusion through the septa, I'd be surprised if it exceeded rates through the siphuncle, and I can't see how rapid diffusion through septa could be anything other than counter-productive. Most suggestions of a relation between septal complexity and diffusion rates (for instance, in this paper) seem to be saying the opposite: that complex septa would have reduced diffusion rates of gas in and out of the chambers via the siphuncle.